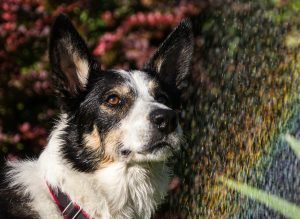 Dogs have been part of my life since I can remember, and I have been owned by dogs of a variety of breeds and personalities, most recently by Balian, a collie cross “hooligan”. I became aware of dog rescue many years ago, and have since been involved as fosterer, transporter, home checker, adopter and fundraiser for several UK rescues. When I lost my rescue Greyhound, Daniel, back in 2009, I realised I hardly had any good images of him, so I bought a camera…and started taking pictures, and more pictures, reading, researching and learning. Paws in Focus has enabled me to bring these passions together.. so I get to spend my time meeting some lovely dogs and their people, taking pictures of them while at the same time helping dog rescues raise more funds to continue doing their amazing work. My Pet Photography aims to capture dogs in a natural environment, showing their character and having fun with their owners, either at home, during walks, or at training. Sessions are super relaxed and I will try my best to make it fun and enjoyable for all of us – usually lots of treats and toys are involved! To see examples of my past work please have a look at my dog photography Portfolio. To book a session for yourself or to buy a Gift Voucher, please follow this link.